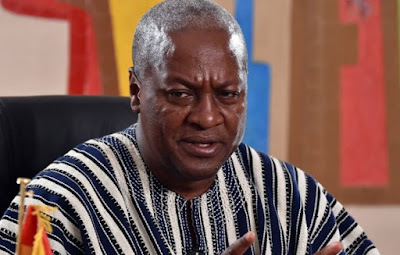 President John Dramani Mahama has finally broken silence over the recent polls that put him behind the opposition, NPP. Reports show that the NPP is leading the polls by 53.24% as against 44.93% by the NDC. The NPP held a press conference Thursday morning declaring themselves victors of the election despite not having a certified results from the Electoral Commission. Some NPP supporters across the country have already started celebrations and jubilations so should the EC declare the NDC victors after the entire coalition, there could be a bit of a mishap in the country. Incumbent, John Dramani Mahama said this afternoon that the NDC would accept whatever results the EC declares urging all Ghanaians to keep calm and wait for the EC’s certified results. He urged that all Ghanaians uphold the constitution above all else saying “we have more to lose if there’s any instability in the country”. According to him, the NDC is also doing its own coalition to compare with the figures released by the EC and would accept the outcome of the election, positive or negative.